Delhi as well as other parts of North India is popular for its dhabas and their spicy dishes served along with naan , tandoori rotis and other Indian breads ..
Dhabas are roadside small restaurants located on highways/interstates and usually serve fresh local cuisine..They are mostly situated next to the gas station and are open 24/7.. The food is typically inexpensive and has a ‘homemade’ feel to it. Today I bring to you one of my all time favorite lip smacking spicy & delicious dhabba style Mutton curry .. In a big enough bowl with lid add the washed mutton along with all the ingredients under for Marination . 1. Add the oil In a big enough dutch oven . Once hot add chopped onion , ginger and garlic and sauté till light brown in color . 2. Add all the powdered spices except garam masala and cook nd sauté till the oil separates. 3. Now is the time to add marinaded mutton along with all the marination in the bowl . 6.Add enough warm water so it covers / immerses the mutton till the top . 8. Adjust seasoning and the consistency of the gravy , add garam masala and cook for another10 mins . 9. Garnish with chopped cilantro / coriander & Serve hot along with hot Naan any Indian flat bread of your choice , plain white rice and salad on the side ..
My family’s love affair with Chicken is no secret & they can eat it every day . Malvani chicken or Sagoti is very popular coastal region recipe in Maharashtra & is prepared using lots of coconut . This Malvani Style Chicken Curry is not that spicy but full of flavors.. I have used dried Kashmiri chilies but you can hot chilies too to make this chicken gravy spicier ..
For Malvani Chicken Curry we will be needing ..
2. Add 1 tbs oil In a pan and sauté sliced onions and grated coconut till it turns light brown . Cool and grind into paste with little water. 3. Heat 1 tbs oil in a heavy bottom pan and add chopped tomato , turmeric powder and chicken and sauté for 5-6 mins . 4. Add in the prepared red paste and cook till oil separates, stirring occasionally . 5. Now add the potatoes if using and mix well ..
6. Add salt as per taste and enough water to cover the chicken ..
7. Cover and cook till chicken is done..
8. Now add onion and coconut paste to the chicken curry and boil for 4-5 minutes ..
9. Adjust salt and water for curry . To view more DFT recipes, Click here! 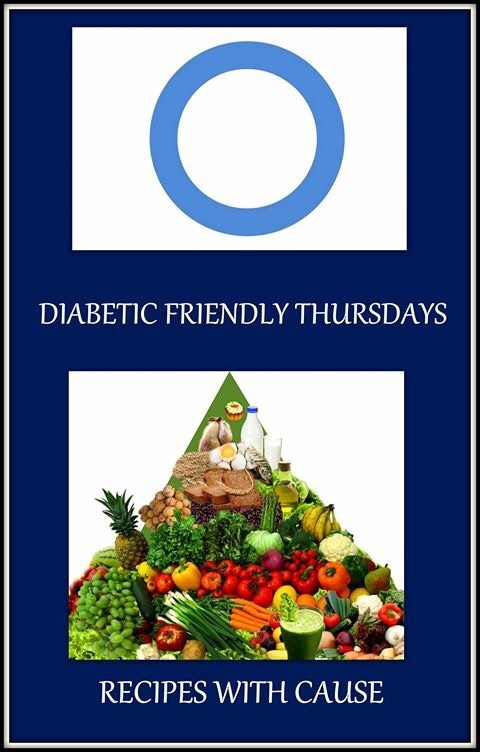 This recipe is part of Recipes With A cause for Diabetes Friendly Thursday. Celebrate the Eid Dinner with Team DFT’s Biryanis and Pulavs! Shrimp biryani is becoming very popular day by day & unlike other biryanis it is quick to prepare & is busting with flavors..
You can even make this one day in advance as biryani generally tend to taste better the next day. Place the rice, ¼ teaspoon salt , whole spices and 3 cups water in a medium saucepan and bring to a boil. Cook till 3/4 done. 1. Heat the oil in a large skillet over medium heat. Add oil and ones hot the onion and cook, stirring occasionally, until golden, about 10 minutes. 2. Remove half the onions..
3. Stir in the garlic, ginger, and chili powder and cook another minute until fragrant. 4. Add the shrimp along with all the marinade and adjust the seasoning . 5.Cook the shrimp 2-3 minutes on each side , stirring to coat them with green chutney. Serve with yogurt or Raita..
1. Take a deep microwave bowl. Spread a layer of half the brown rice at the base. 2. Spread the Shrimps and again spread remaining brown rice, fried onion, coriander leaves and 2-3 TBS water .. Cover with a cling wrap or a lid ..
3. Cook on Microwave HIGH (100%) for five minutes. Allow standing time of five minutes. 4 6. Bake biryani at 350° F pre heated oven until center is hot and rice is tender to bite, 20 to 25 minutes. 5. Serve with Raita of your choice ..
You can even add Rose water or kewra water to the biryani..
Shrimps can be replaced for any meat or vegetables of your choice .. LETS LOOK AT THE BENEFITS OF THE INGREDIENTS USED…. A Slow-Release Sugar Brown rice helps stabilize blood sugar levels; therefore, it’s an excellent food choice for those suffering from diabetes. Studies show that those who consume one half cup of brown rice daily reduce their risks of developing diabetes by 60%. On the other hand, those who consume white rice regularly increase their chances of developing diabetes one hundred-fold. The American Diabetes Association recommends that you eat at least three to five servings of vegetables daily. Adding onions to your soups, stews, sandwiches, salads and casseroles boosts your vegetable intake without adding a large number or calories or carbohydrates to your diet. A half cup of chopped spring onions contains 26 calories and 5.9 g of carbohydrates. Storage onions, such as yellow, white or red onions, contain 16 calories and 3.7 g of carbohydrates per half cup. Cilantro is a power-packed flavor enhancer that contains an eye-popping amount of phytonutrients, including borneol, carvone, camphor, elemol, geraniol, and linalool, among the most prominent. It also contains popular flavonoids, such as quercetin and apigenin. Along with such incredible antioxidant potency, cilantro contains active phenolic compounds and is nutritionally dense in dietary fiber, manganese, iron, and magnesium. With such an impressive array of healthy properties, it’s no wonder that cilantro has been used as a digestive aid, an anti-inflammatory, an anti-bacterial agent, and as a weapon in the fight to control blood sugar levels, cholesterol, and unwanted, lethal free radical production. Recently ginger has demonstrated promising results in basic science and animal research testing its ability to improve insulin sensitivity, reduce oxidation, and improve cholesterol (Bhandari et al. 2005 and Akhani et al. 2004). We still do not know much about the impact of ginger on these parameters in humans, however the preliminary research is very promising- and ginger tastes quite good! Peppermint may help diabetics because it improves the flow of bile, especially when fatty meals are eaten and therefore aids digestion. The gut motility in diabetics is sometimes slow, a condition called gastroparesis. As a result, food stays in the stomach longer, suffers fermentation and causes bacterial overgrowth. Fermented foods and intestinal bacteria are responsible for excessive gas, manifested as bloating, flatulence and abdominal cramps. Peppermint helps relax the digestive tract’s muscles and relieve the excessive gas.